The barrette look is back on trend and it's great since a simple barrette is the perfect hair accessory for the holiday season you can style in so many different ways, wear with so many different outfits and find in so many different styles. I personally prefer vintage-inspired designs embellisshed with crystals, pearls, stones or little flowers, as the one I feature in the photo. Whether you use it to adorn a hairdo or just to hold hair back from your face, a sweet barrette can make a statement and is a stylish piece that adds a retro flair to any look. Hai ragione, proprio bello e chic questo tipo di fermaglio e risolve anche situazioni di bad day hair!! Hi Lilli, I wear barrettes on my hair too. I love it because it’s an easy and stylish way to keep my hair in place and off my face. Love your hair barrettes. This makes me happy to hear since I'm a fan of barrettes and hair ornaments in general. What better way to add a little sparkle and shine especially during the holidays. This gorgeous vintage style barrette is beautiful on you Lilli! Happy new week. I think it is a very sweet accessory to keep our hair in place, I remember having used it a lot in my school age, it looks great with those floral details and makes it look very delicate too! Happy start of week dear Lilli. This is so pretty Lilli! 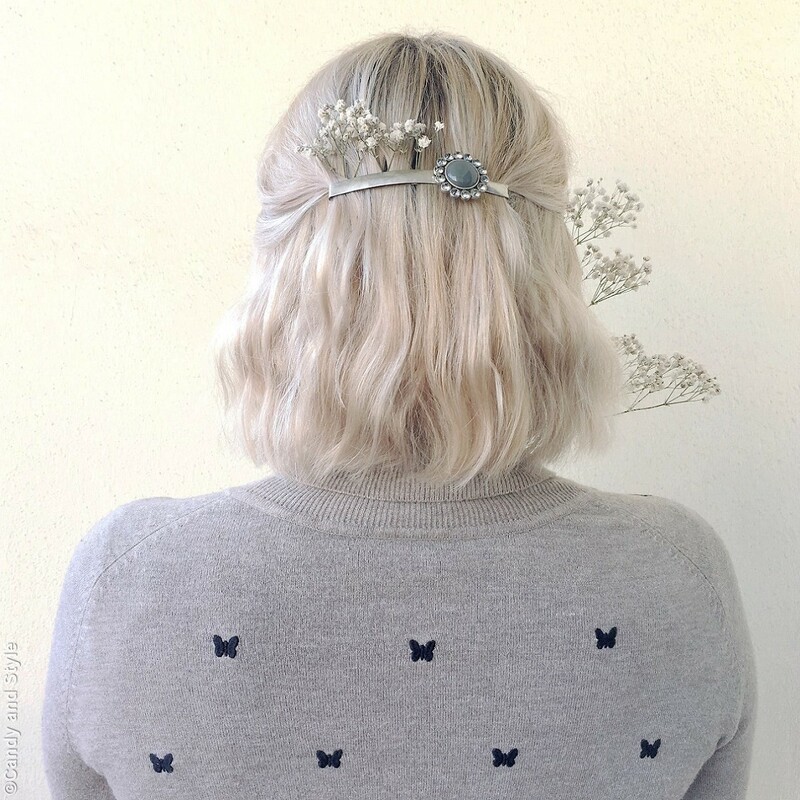 I am a huge fan of hair accessories and this photo really caught my attention on Instagram, that's why I hopped on over to your blog. I wish I could see the front of the hairdo also lol. I am such a fan of decorative hairpins and barrettes also. I love how you are wearing these here. Such lovely accessories for the hair. Wishing you a marvellous week dear Lilli.